Check out this wonderful event organized by Dr. Justin De Leon, the Intertribal Resource Center at UC San Diego (headed by Dr. Elena Hood) and myself at UC San Diego. 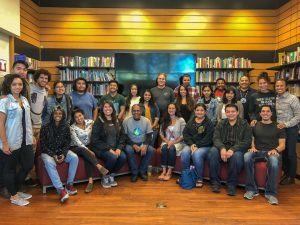 We hosted a first residency on Kumeyaay territory at UC San Diego where Native American filmmakers could learn, share and build content together. 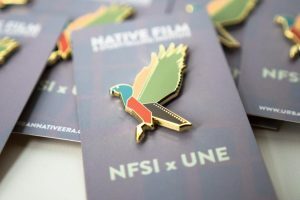 Filmmakers were paired with folks from the industry (they met Jade Begay from Indigenous Rising in San Diego and actors Rosario Dawson, Kendrick Sampson and Kholan Studi in Los Angeles!) and with a dramaturg to develop their own projects. We met again in June and are ready for the next phase!